If you’re in the area then do register and come along for the talks and a free drink (or two) in celebration. Registration is free but is required to manage numbers and ensure that we have enough drink and nibbles to go around. 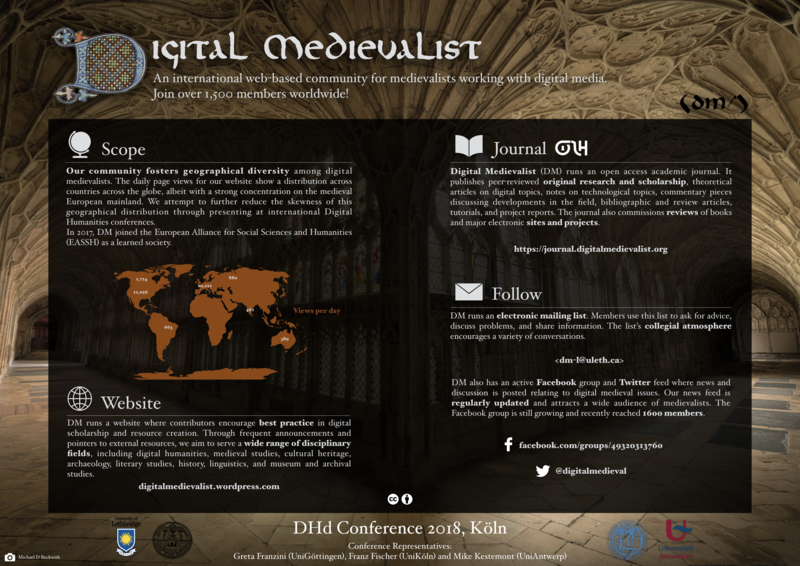 Search for manuscripts and charters, scribes, scribal hands, and graphs (images of letter-forms). Explore a faceted search of manuscripts and charters, images, scribes hands and graphs (this is still in ‘beta’). Browse images of over 800 manuscript pages and charters. Read descriptions of manuscripts, charters, and scribal hands. See images of manuscript and charter pages marked up with palaeographical annotations. Form collections of images, whether of complete pages or of individual images, saving them to your browser or desktop, or sharing them via Twitter, e-mail, or whatever else you prefer. See, for instance, my collection of the letter b written by the famous scribe Eadwig Basan. Once you have a collection then you can send it to the Lightbox, which allows you to manipulate your images in various ways (resizing, rotating, overlaying, comparing and so on), where you can again share, download and so on. See, for instance, the collection of Eadwig’s bs. Download our framework from our open-source repository on GitHub. We don’t use these in DigiPal, but the framework also has a component for generating maps and timelines of your data which some associated projects are using. Do have a look at the site and let us know what you think. And – just as importantly – do come and have a drink on us if you are in London on Tuesday! 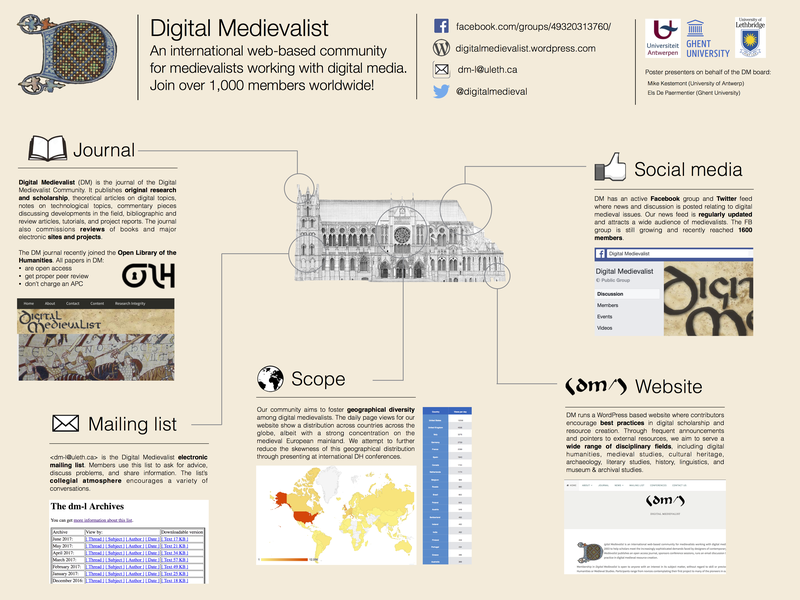 A list of current digital manuscript projects and reconstructions of medieval libraries. The list is organized by location and updated regularly. It forms part of the Monastic Manuscript Project. The webpage also contains a list of research tools for the study of early medieval monasticism. The Hildemar Project is a collaborative translation project of Hildemar of Corbie’s Expositio in Regulam Sancti Benedicti, a 650 pages long sentence-by-sentence commentary to the Rule of Benedict. The website presents the Latin text in the edition of Ruppert Mittermüller (Regensburg 1880) along with an English translation. The task of translating this work is shared by a group of about 50 classicists and medieval scholars. List of contributors. The text will contain hyperlinks to other versions of the commentary and to digized manuscripts. The page contains a bibliography on Hildemar of Corbie and a discussion forum. The purpose of this project is to make Hildemar’s Commenatary, a key text for the history of monasticism, accessible to scholars and students. The presentation will facilitate students with very little knowledge of Latin to work with the original text and to do manuscript studies.